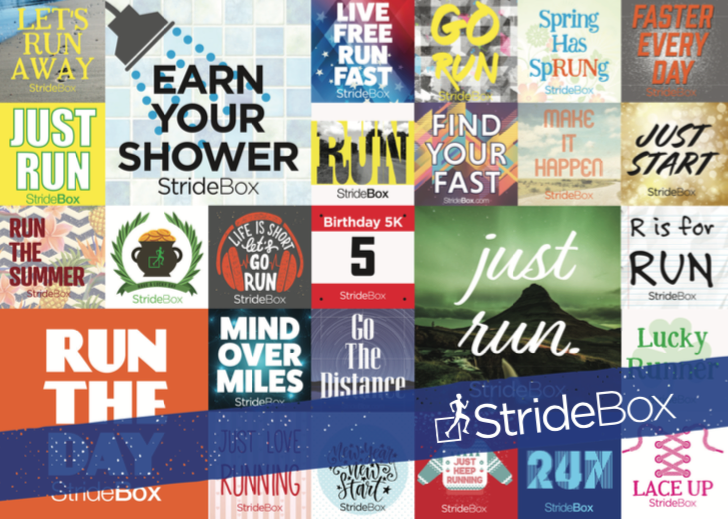 This month’s Stride Guide provides a bit of motivation, by putting some of our favorite StrideBox stickers all in one place. After the Milrose games earlier this year, we’ve become big fans of the Indoor Track scene, and this weekend is sure to delight with the US Indoor Championships in New Mexico. This event chooses the team for next months World Indoor Championships in the UK. You can check out the participant list, watch on NBC Sports Gold, or get your tickets to attend. 2. How Many Calories Are Winter Olympians Eating? At StrideBox, we are always interested in what, and how much athletes of all kinds are eating, so when we saw this article and graphic showcasing how much Winter olympians were eating, we can’t help but be obsessed. Some are eating as few as 1300… others are eating 7000+. Check it out here. 3. Have You Heard Of The Motigo App? The Motigo App has been around for a couple years, but recently it has been becoming much more popular and partnering with many races including the 2018 Big Sur, and the Marine Corps Marathon. The best thing about this app is that your friends and family can record sayings and motivation for you that will play at a certain mile in the race. For The Marine Corps Historic Half, participants will get messages about the history of the Marine Corps and the race. 4. Can “Carb-Rinsing” increase your performance? There’s been a lot of debate about the practice and efficacy of “Carb Rinsing”or swishing a carbohydrate rinse in your mouth immediately before performing activity. A recent study shows that carb-rinsing increased performance in the test group in many areas including jumping height, bench pressing, and sprint times. Some say that the effect is all placebo, but in this competitive world, even small boosts in performance can be the difference. 5. Custom Fit Waterproof In-Ear Headphones. Here’s one for the Triathletes and swimmers… Many of today’s waterproof earphones rely on bone conduction technology, but H2O Audio has created a custom fit waterproof in-ear earbud. The custom fit comes from a mold taken at an audiologist, the mold is sent to H2O audio and the technology is fit inside. Still, you’ll need a waterproof MP3 player, or H2O Audio’s waterproof phone case, as these only come in a corded headphone… for now. What Is Plogging, And Why Run 100 Miles? 1. Hawaii Is Trying To Ban Youth Runners From Competing?! A new Senate Bill in Hawaii is looking to prohibit anyone under the age of 18 from participating in long-distance endurance events in the state. The measure is being introduced to curb issues such as overuse injuries in youth. The president of the Honolulu Marathon, Jim Barahal said “it’s not only a safe activity, it’s something that’s going to make people healthier for life.” We agree Jim. 2. Is Plogging The New Running Fad? Stemming from origins in Sweden, Plogging seems to be picking up steam across the running world. Plogging is a combination of running and picking up litter, and has become quite popular in Sweden as well as other parts of the world. It’s no surprise this comes from Sweden, as the country is almost waste free. All you need is your running shoes, and a garbage bag. 3. Why Do We Run 100 Miles? Billy Yang runs UltraMarathons (100 miles+). Billy Yang also makes awesome films on his YouTube Channel. He teamed up with Gu Energy to answer the big question of WHY in his latest video and documents his journey during the Leadville Trail 100 Run. Even though 100 miles may not be for you, the 30 minute documentary is a beautiful documentary/video essay on the WHY. 4. Andrew Wheating Shares His Post Running Career Life. Andrew Wheating, a world class 800/1500 runner who retired in early Januaryhas always been known for his personality on and off the track. We’ve always wondered what professional runners do after their careers… Andrew Wheating shared a little video of what he’s been up to in the past month. It’s definitely a humorous look at a post-running life. Keep being you, Andrew. 5. A Treadmill Training Alternative To Peloton. February 2018 Stride Guide – It’s Our Birthday! It’s our birthday! 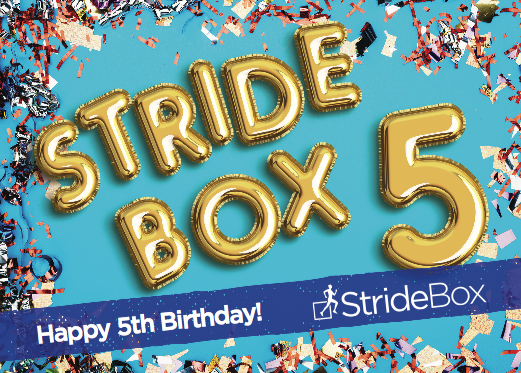 Five years ago today we sent out our first wave of StrideBoxes! Its been a short five years, but we’re still going strong! 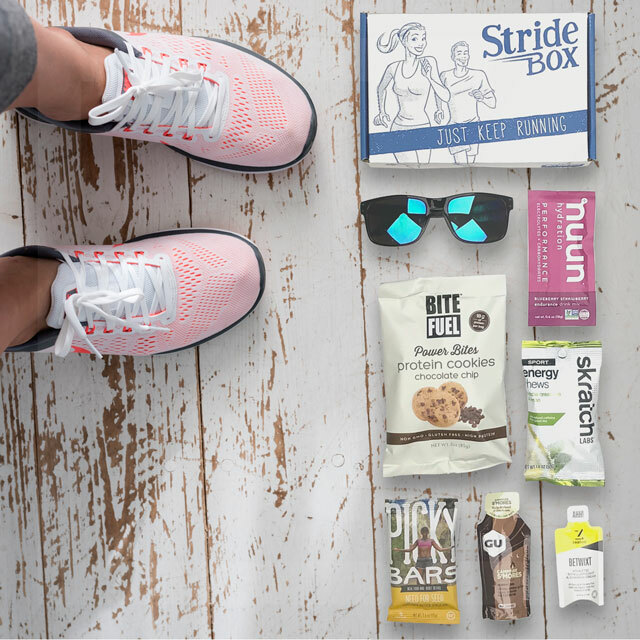 Thanks to all of our subscribers, past, present, and future for loving StrideBox! We’ve got a lot more to do, and all kinds of awesome is headed your way!